Sigelock Systems SPARTAN 300 Fire Hydrant: A truly revolutionary and groundbreaking technology that provides superior value to communities who want a more cost-effective solution that improves fire safety, water security, water savings. The SPARTAN models are not just incrementally better than traditional competitor hydrants, they are revolutionary products; modern in design, materials, and performance. They have been developed to solve today’s real-world problems. Integral, patented security features protect water infrastructure against threats from vandalism, malicious tampering and terrorist threats, and the skyrocketing cost of chronic leaks and widespread theft. The SPARTAN is designed to be ready and functioning when a hydrant is needed most; during a fire. The SPARTAN 300 High Security model is the only fire hydrant to achieve the new UL246B certification from tamper prevention and durability under the most extreme conditions. It’s a marvel of ingenuity and a formidable defender against any threat. By establishing new standards of fire hydrant performance with patented design and technology that competitors cannot match, the SPARTAN is targeted to become the preferred specification of thoughtful waterworks engineers. 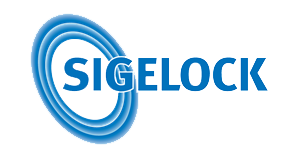 The SPARTAN presents a true first-mover advantage for Sigelock Systems; a significant opportunity to secure market leadership by forever changing industry expectations for what a fire hydrant should be. The SPARTAN 300 fire hydrant has no equal! The first SPARTAN installation in a water distribution system occurred in 2009 as a pilot demonstration. Since then, SPARTAN hydrants are popping up in communities across the country, in more than a dozen U.S. States, and also in Canada. Delivering as promised, more and more communities are seeing the full value of investing in Sigelock SPARTAN hydrants. Founded By: George Sigelakis, a retired 15-year veteran New York City firefighter. His vision and passion were to create the best fire hydrant possible to keep firefighters and communities safer. The result is the Spartan model hydrant: the first new design of a fire hydrant in over a century. Why We Do It: George Sigelakis’ on-the-job experience as a firefighter made him keenly aware of the risks of an aging water infrastructure and specifically the leak-prone and poorly functioning fire hydrants that still employ antiquated designs and technology from over 100 years ago. George was determined to build a better fire hydrant. He formed a small entrepreneurial team of investors and partners, and after almost a decade of design, development, testing and refinement, Sigelock Systems, LLC is now sole manufacturer of the world’s first significantly new fire hydrant in over a century; The Sigelock SPARTAN – The New Standard in Fire Safety. Our Mission: Saving Water. Saving Costs. Saving Lives. A life-long resident on Long Island, New York and a 15-year veteran firefighter retired from the New York City Fire Department, George is an ardent perfectionist. His commitment to his fellow fire fighters and public safety inspired him to design the best fire hydrant in the world.